Family: One daughter, Eva, age 5. Best advice anyone ever gave you: Recognise shortcomings and develop a strategy to overcome them. Ask advice from someone who knows, don’t be afraid to try anything and never give up. Best advice you could give someone starting out: Be determined to make a success and never think that it could go wrong, but learn from mistakes. The most important thing for business success is: See obstacles as hiccups along the way and each one that is overcome adds to success and development of strategies for future success. As owner and manager of Smith’s restaurant for the past four years since its opening, we have developed our menus according to demand. As a family-run business we listen to customers’ wants and try to cater for them. With a high turnover of staff in the catering industry, constant staff training and assessment is necessary. It is essential that people skills are matched to the personnel. Our policy of making customers feel at home has developed our clientele to the point that regulars are now a significant part of our trade. First Job: PDL Transport Manager. What it taught me: To deliver quality service and meet customer expectation. Best advice anyone ever gave you: If you’ve nothing good to say, don’t say anything at all. Best advice you could give someone starting out: Think positively and positive things will happen. The most important thing for business success is: What gets measured, gets managed and what gets recognised gets repeated. Degree in Transport from the University of Ulster, Jordanstown. Trainee Manager at PDL. Research Assistant at the Northern Ireland Transport Holding Company (NITHC) before commencing the Translink Graduate Management Trainee Programme. I was Translink Service Delivery Manager in Bangor then in West Belfast before current position as Translink Belfast Area Manager. Translink has delivered a wide range of signage and passenger information in the Irish language, particularly evident in West Belfast. We also have a long-standing partnership with Féile an Phobail and this reflects our role as a large local business supporting diversity and inclusivity throughout the North. First Job: A clerk for McNaughton Blair (Builders Merchants), and then Allied Irish Banks for 10 years. What it taught me: It is definitely better to work for yourself. Best advice anyone ever gave you: Treat people in the way you would like to be treated. Best advice you could give someone starting out: As above. The most important thing for business success is: Honesty, hard work and being able to admit one’s mistakes. Born in Hong Kong, Bobby’s love for motorsport was triggered at a young age when his father took him to the Circuit of Ireland Rally in the 1960s. His ensuing affiliation with maps is no surprise considering Bobby has competed as co-driver in rally championships across the world, including the Middle East, Australia, Poland and Greece. In the early 1990s Bobby began developing maps for car rallying events including the UK round of the World Rally Championship and the Circuit of Ireland. Colour copiers were not yet commercially available and Bobby marked the maps by hand. By 1995, Bobby had competed in the Dakar Rally (the world’s toughest rally) and had won the Middle East Championship. Throughout the late 1990s and until 2002, Bobby continued co-driving, including many long distance desert rallies whilst managing Rallymaps. In 2003, Bobby was contracted by Volkswagen to compete in the Dakar Rally, in which he finished in 6th overall position and first two-wheel-drive car. Bobby retired from co-driving to concentrate on business later that year. After successfully managing the ‘Stormont Super-Special’ of Rally Ireland, Ireland’s hugely successful entry in the World Rally Championship in November 2007, Bobby continued working as a Consultant on the Circuit of Ireland Rally, an event facing extremely tough times. Bobby took on his role of Promoter of this event in 2009. Since 2009, Bobby has re-awakened the Circuit of Ireland Rally, bringing the event to new audiences. The 2012 event was the only British/Irish round in the Intercontinental Rally Challenge (IRC) Series, which was consequently viewed by 8.9 million viewers across the world. Bobby remains Managing Director of Rallymaps and Event Director of the Circuit of Ireland Rally. Business: Stephen Prenter, Business Consultant. First Job: Trainee Chartered Accountant – earning £1,000 per year with KPMG. What it taught me: The importance of integrity, trust and competency in all aspects of life. The continued joy and good fortune of being part of a winning team and making good friends. The benefits of a professional qualification, linked to hard work. Family: Wife Patricia, a school teacher who is head of science at St Mary’s Downpatrick and a keen traveller. Family: Five children aged 21 to 30. Best advice anyone ever gave you: A big problem is best addressed in small chunks. Get the best training from the best practitioners, then play to your strengths. Getting the right team around you and finding your best position on that team. 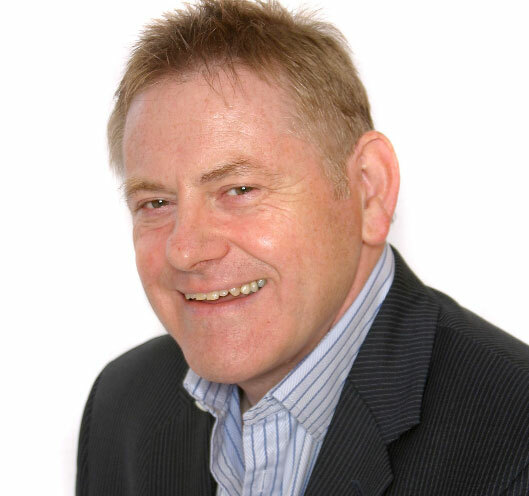 Stephen Prenter FCA is a chartered accountant , business adviser and non-executive director. He was Managing Partner of BDO Northern Ireland for 20 years, having founded the firm in 1989 and retired as Chairman in 2009. Under his leadership, the firm grew from a greenfield project to now being recognised among Northern Ireland’s foremost accountancy firms, business advisers and management consultants with more than 160 people. BDO is the Northern Ireland member firm of BDO International, the world’s fifth largest accountancy network with more than 600 offices in 100 countries. Stephen Prenter is one of Northern Ireland’s leading corporate finance experts, business recovery specialists and business advisers. Widely respected for his guidance on acquisitions, company disposals, management buy-outs, development of growing businesses and active support in corporate recovery situations, he has extensive connections with financial and government communities in NI, London, Dublin and internationally. Presently his roles include: Non-executive director at Haldane Shiells group, builders’ merchants with turnover of £75m operating from 15 outlets in NI, North West England and the Isle of Man. Honorary Treasurer at Queen’s University, Belfast, including responsibility as Senate member and Chair of Investment Committee. Elected Council member of Chartered Accountants Ireland (the organising body for more than 20,000 chartered accountants in Ireland, North and South) where responsibilities include Chairman of the Strategy Development Board, Chairman Strategic Communications, Chairman of the Building for Recovery Group in Ulster Society. Chairman Belfast Grand Opera House Trust, Northern Ireland’s leading theatre housed in the historically-listed, Matchem-designed iconic building dating back to 1895.
Business consultant and investor to a small number of NI-based businesses. Previous positions included: Chairman Investment Belfast Limited, a dynamic partnership between Belfast City Council, the private sector business community and our two local universities. Chairman the Ulster Society of Chartered Accountants where he brought the first ever conference to New York with more than 200 delegates. Various director roles in business, arts and representative bodies including CBI, Ulster Orchestra, as well as leading several research initiatives including the government sponsored Financing for Growth report into Venture Capital and Finance for Northern Ireland’s SME sector. Born and bred in Belfast , Stephen was educated at St Mary’s Grammar School and Queen’s University where he obtained a degree in Economics, Business Studies and Accounting. Married to Patricia, a former science school teacher, and with five children, he is a keen sportsman now limited to golf and tennis, and cheering on his footballing sons from the sidelines and his athlete daughter on cold cross-country runs. First Job: City of Belfast YMCA. What it taught me: The importance of intelligent risk taking and the management of change in complex, fast growing operations. Best advice anyone ever gave you: Poet Wendell Berry wrote ‘as soon as the generals and the politicos can predict the motions of your mind, lose it’. It’s wise advice and it makes me laugh. Elsewhere in the same poem though, he says ‘plant sequoias’. It’s a call to live life for the future and to invest in future generations, and it’s one reason why social enterprise excites me. Best advice you could give someone starting out: There is both more than enough time to do what you want to do, and not enough, so use it wisely. The most important thing for business success is: To recognise the social responsibility of any business enterprise. Raised in Bray, Co Wicklow and living in Northern Ireland since 1988. I’ve been with East Belfast Mission since 2000 and full-time as the Director of Skainos Ltd since 2004. Construction on Skainos is due to complete on 1 October 2012. Graduated with a BComm degree and a Masters in Business Studies from UCD. More recently achieved a BD and a Masters in Theology degree from Queens. Currently studying for a PhD in Old Testament theology. Since 2004 has served as a member of the Inner East Neighbourhood Renewal Partnership. Also a member of the Board of the Churches Community Work Alliance which promotes and supports community engagement among the faith-based bodies in NI. A board member of the East Belfast Community Development Association. Author of ‘Not of This World – Evangelical Protestants in Northern Ireland’ in 2001. A keen cyclist and also enjoys rugby and football. What it taught me: The community is often the most valuable asset of any organisation. Best advice anyone ever gave you: No one who is great at something was always great at it. It’s OK to say ‘No’ to people. To maintain your sanity, it’s often necessary. Your network. While there is no need to waste time knowing everyone in the world, knowing, and being known to, people relevant to both your business and personal interests, is the surest way to business sanity and success. By day, Andrew is a PhD Researcher, investigating trust and reputation in Marine Communications Systems at ECIT. But by night, he’s the Founding Director of Farset Labs, Northern Ireland’s First Hackerspace, located in Weavers Court Business Park, Belfast. Andrew developed Farset Labs while finishing off his Masters in Engineering at QUB, along with his close friends, and now Directors, David Kane and Eoghan Murray. Farset Labs now provides the technical and entrepreneurial community with a place to share resources, knowledge and experience in a relaxed atmosphere, laying the foundation for the next generation of Northern Irish Innovation. First Job: Trainee Retail Manager. What it taught me: That I didn’t know as much as I thought I did. Best advice anyone ever gave you: Tell the truth – you can’t improve on it. Best advice you could give someone starting out: Be persistent and don’t give up. Treat success and failure in the same way. Learn from both. Don’t take yourself too seriously. The most important thing for business success is: Stick at it _ do the basic things and do them well. Recognise the ‘bluebirds’ when they arrive and take advantage of them. The answer is always ‘Yes’. Now what’s the question? I’m currently a director of inphoActive, a company that specialises in data capture using digital pen and paper, and iPADs. I’ve been in the ICT sector for over 25 years in sales and marketing, business development and project management positions. My core expertise lies in business development and service delivery. I’ve been involved in a number of successful major projects into the public and private sectors. My experience spans a variety of business areas including criminal justice, utilities, education, healthcare, and the commercial sector. I’m a psychology graduate of Queen’s University, Belfast. I’m married to Carmelita. I play golf and squash, enjoy travel and going to the cinema. Place of Birth: Dundonald but have always lived in Bangor. First Job: Never had a full time job working for anyone else. What it taught me: I did work in a pet shop part time when I was 16 but I can’t say there was a lot of learning going on. When I was in my teens I set up fillajob.com (good idea, but I had zero computer skills so that flopped), middle-men-mobiles (take your old phone and sell it. Don’t know why that one failed, probably didn’t put enough work into it), then finally when I was about 19 I started Karacha.com and Karacha.com is still a business I run today. Family: Married to Rebecca since August. Best advice anyone ever gave you: The most valuable asset you can have is information, the more you know the less you’re risking. Best advice you could give someone starting out: You have to care enough to always strive for the best, but never let anything worry you. The most important thing for business success is: Hard work, and fortunately the harder you work the luckier you will become! CEO Sendmybag.com (Sendmybag (NI) Ltd). Our story is a simple one. Not so long ago in 2007, Adam travelled to Oxford to help his then girlfriend (now wife) Rebecca travel home from university with the usual eclectic range of student baggage. After dragging suitcases along Oxford’s cobbled streets, sitting on a coach for 2.5 hours and taking part in a scrum at the bag drop, it wasn’t his favourite travelling experience. On finally reaching check-in, Adam had no option but to pay £60 because one of the suitcases was 3kgs over the limit. Paying the fine was irritating, more than that, it didn’t make sense. The whole experience was just too much hassle and way too expensive. There had to be a better way. On the plane home, Adam sketched out his plan for a door to door student baggage service. No more bag drop queues, excess baggage fees. Waiting at baggage carousels and negotiating public transport with bulky suitcases would be a thing of the past. Adam was sure he could make travel a much more enjoyable experience – like it used to be. Within a week, his door to door UK service was available for students. After that came European services and now Sendmybag helps students, holiday makers, business travellers, sport enthusiasts and others travel worldwide every day. The opportunity for Sendmybag is massive, airlines want to become luggage free and people are clearly sick of the charges. Sendmybag is going to be built into the first affordable, reliable, global, door to door luggage service. Phase one is to become known nationally and if you keep your eyes and ears open during 2012 I think you may just spot us. First Job: Marketing Assistant, BT Northern Ireland. What it taught me: Understanding marketing in real life practice and its role in business – understanding your customers and knowing their buying behaviours and patterns. The importance of teamwork. Learning by doing and from mistakes! Family: Two wonderful children, Jack (10) & Lilia (5). Best advice anyone ever gave you: Get yourself an education… because no one can ever take it away from you. Ancient philsopher and pearl of wisdom (aka my grandfather, Jim Carlin). In life. Get ahead, get a niche or get out (successful entrepreneur). In business. Best advice you could give someone starting out: Know thyself. Know your strengths, weaknesses and limitations. That is a real ancient philosopher… Aristotle. The most important thing for business success is: Know when to say NO! Don’t take on more than you can handle. Better to underpromise and overdeliver than the other way about. I have been Business Development Manager for Gauge since 2010, a social enterprise business that measures and evaluates the social impact of organisations in the third, public, private and philanthropy sectors across Ireland. I have a degree and postgraduate diploma in marketing and an MSc Executive Leadership (UUJ). Awarded an IBEC-CBI scholarship in 2008 to study PhD in social entrepreneurship UCC (Cork) but having almost lost the will to live doing that, am instead currently completing an MSc in Innovation & Social Enterprise at DCU (Dublin) by distance learning. Doctorate can wait a while. I’ve taken the education wisdom of my grandpa to the extreme! My primary background is in the world of technology and software having worked in sales/marketing from mid-1990’s for BT Plc, QUB, W&G Baird Group, Lumio and having my own technology business for five years. Having changed career direction since 2007, I’ve worked in the ‘third’ sector which meets my strong sense of social values and purpose with my entrepreneurial mindset when I found this world of social entrepreneurship. Outside of work and learning I have two wonderful children to more than consume my time, Jack (10) and Lilia (5). I’m an avid sports fan as playing days long gone. I like most sports but particularly soccer (a Tottenham Hotspur diehard), Gaelic football, hurling, rugby and cycling when time permits. I’m also a volunteer with Special Olympics Ireland another personal passion of using sport to fulfil potential of people with learning disabilities. As the Paralympics proved this summer in helping mainstream these issues and reduce the social stigma of disabilities… as it’s all about the ability as Gauge’s parent charity NOW can testify too. Business: Flex Language Services Ltd.
What it taught me: This job taught me the importance of being honest and professional at all times. As I was the first point of contact for all customers and suppliers it also taught me to make sure you have good front of house staff as first impressions often make a difference. Best advice anyone ever gave you: There are two pieces of advice that I always remember. 2. Be open to taking chances, if you are not, you’ll never know what great experiences you missed out on. Best advice you could give someone starting out: 1. Never forget the Customer; they are the most important part of your business. Good customer relationship management is crucial. 2. If you are unsuccessful is getting a job always ask for feedback, it’s the only way to learn and improve. 1. Building and maintaining good customer relationships. 2. Good Cash Flow Management. I began work as an Office Administrator for a local Manufacturing firm in 2004. I worked my way up in this company and became the Finance & Office Manager in 2010. In 2011 I was given a great opportunity to join the team at Flex Language Services as their Finance Manager. Flex specialise in providing Interpreting and Translation services to businesses and individuals as well as language tuition. Since joining the company I have enjoyed watching it grow from strength to strength and I am excited to see how we can improve further in the future. I attended St Louises Comprehensive College. Place of Birth: Newark New, Jersey. First Job: Bar Manager in Wildwood NJ. What it taught me: Working with the public is a tremendous opportunity to learn core management and social skills. Keeping staff happy and motivated is always challenging and rewarding. Respect for your customers is key to building a successful business. When that respect is recognised then your business is a trusted and valued part of your customers lives. Family: Wife Caroline and daughters Niki and Christine. Best advice anyone ever gave you: Something I always remembered from a Sales training session I was in in 1980 was “Always do the things you know you should and never do the things you know you shouldn’t”. It was a very simple message but holds true to this day. My Dad also told me “Be a Leader not a follower” and I’ve always tried to live up to his advice. Best advice you could give someone starting out: Find what you enjoy doing and follow the career path that takes you on. Be diligent and do your homework. Having a clear and detailed view of what you are working towards will always make the journey smoother. Be prepared for the unexpected and build agility into your DNA. Change is ever present and adopting to and learning from change is the key to both personal and business success. The most important thing for business success is find something you love to do and have a passion for. When you are committed to your work you will achieve greater personal success and more than likely achieve greater earning success. I have been with Microsoft for eight years. In my current role I am responsible for all commercial relationships with Education customers in NI. In addition, as Programme Manager I deliver the Microsoft Partners in Learning Programmes to Educators, Teachers and Students. Those programmes include Microsoft Innovative Schools, Microsoft Innovative Teachers, Microsoft ITL Research and Microsoft Pre-Service Teachers Programme. My original role in Microsoft was the Schools Technology Innovation Centre (STIC) Manager. In that role I worked with C2k and their commercial partners (HP, Cisco Systems and Intel) to showcase and pilot new educational technologies for teachers and students. The partnership worked under the title of the European Education Research and Innovation Centre (EERIC). Along with that role, I was the Microsoft Citizenship Lead for Northern Ireland. I worked with Charities and Not for Profit organisations to ensure they were aware and took advantage of Microsoft Programmes for Digital Inclusion such as the Microsoft Charities and Donations Programme, Microsoft Approved Refurbisher Programme, Microsoft IT Academy and Internet Safety in partnership with the Police Service of Northern Ireland (PSNI). Prior to joining Microsoft, I was a Senior Account Manager with NTL responsible for voice and data solutions and services in the Education sector in NI. I am originally from New Jersey and have been living in NI for 18 years. 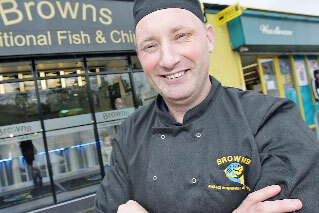 Business: Browns Fish and Chips. First Job: Bar Man in the Lámh Dhearg GAA club, Hannahstown. What it taught me: How to pull a good pint and that I definitely didn’t want to work in a bar. Family: Partner Tammy, Son Ciarán age four. Best advice you could give someone starting out: The secret of getting ahead is getting started. Have a bussiness plan and make friends with your bank manager. Work hard, prepare for long hours and what you put into a business you’ll get back out. Ignore those who tell you you can’t do it. The most important thing for business success is: Small businesses are the backbone of our community. Give the community what they want and value for money and they will keep coming back. Born in Belfast in 1973 to parents John and Eleanor Brown, Gavin has one brother and one sister. He attended St Oliver Plunkett primary school in West Belfast and then CBS Glen Road. Gavin has held a variety of jobs since leaving school, from barman, to travel agent to cleaning airplanes. He Played Gaelic football for Lámh Dhearg GAC and county football for Antrim. “ My personal highlights are the birth of my son Ciarán in 2007 and, of course, playing football for my county,” he says. 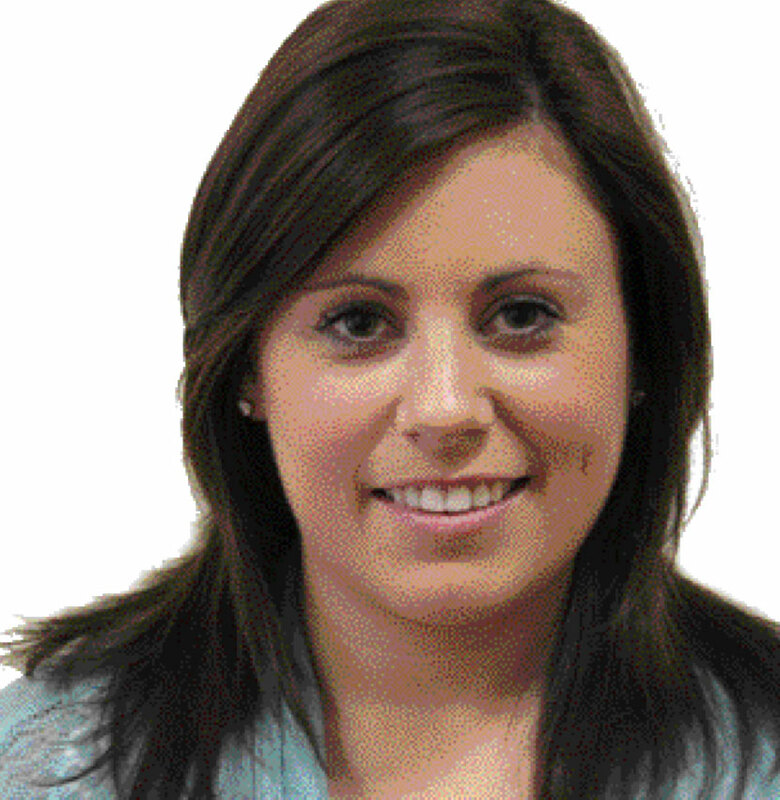 First Job: First job was working with Claire Faulkner at Project Planning International as an Events Manager. What it taught me: To work with budgets, communication and time management. Family: Husband Finbar, Barrister, 2 daughters Aoife 14, attending Aquinas Grammar School, Catherine 11, attends Victoria College Belfast. Best advice anyone ever gave you: Always communicate. Best advice you could give someone starting out: You must enjoy what you do! The most important thing for business success is: Hard work and having passion for the business to succeed. 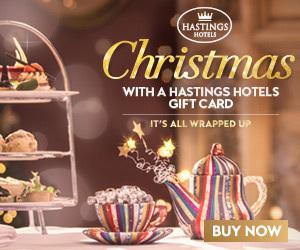 Caitriona joined Hastings Hotels in 1997 with a specific remit to target the MICE business locally, nationally and internationally. Before joining Hastings Hotels Caitriona worked as a Professional Conference Organiser for Project Planning International and A V Browne Event Management and worked as events manager for major events such as the Training & Employment Agencies Winning Ways Series, BAFTA Awards for the BBC, President Clintons inaugural visit to Belfast and the European Commission’s conference hosted by the European President Jacques Santer . In 2008 Caitriona received an award from Minister Foster at the Tourism Ireland inaugural Ambassador Awards as an Ambassador for Tourism for significant and lasting contribution specifically to tourism. 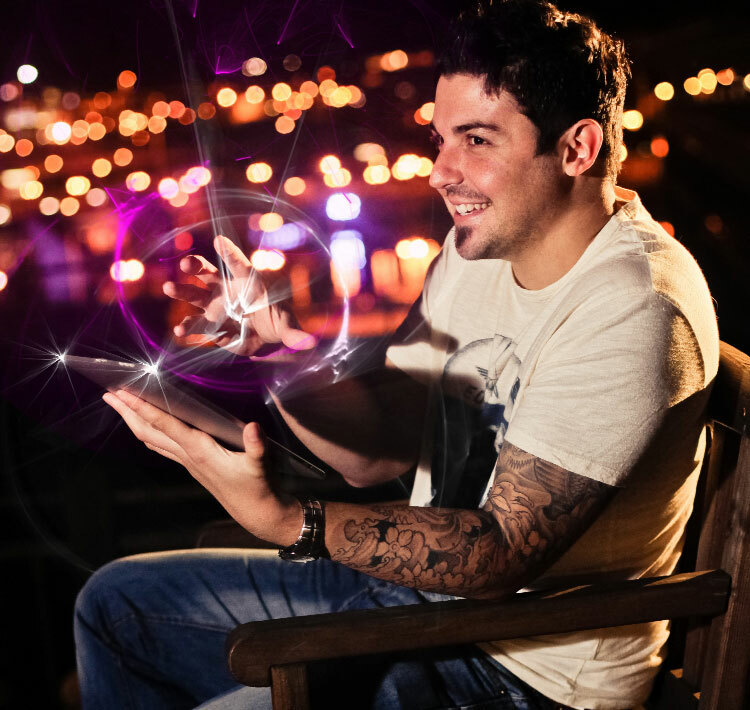 The man heading up newly- launched ClubstoHire in Portugal is no stranger to the world of business or hard work. Gerry McKernan’s first job was selling sandwiches from a bicycle in Belfast city centre after leaving school with a set of academic qualifications under his belt. The West Belfast entrepreneur undertook a variety of business roles, selling computers, running nightclubs and eventually finding his niche as Managing Director of the world’s largest lens manufacturer at United Optical Laboratories. So far, ClubstoHire has exceeded all of the 45-year-old’s expectations. First Job: At 15, when I was a labourer over the summer months. What it taught me: It taught me quite a few things. First and foremost, which has always stuck with me, is that if you start a job always give give it 110 per cent. Never leave a job until it’s done to the best of your abilities. Family: A family I can’t do without: Mum and dad, Patricia and Gerry, step-dad Joe, and brother Ben. Best advice you could give someone starting out: That hard work alone will not make a business successful. You have to be ready to take risks along your journey to success. Also build a key team of loyal staff from the offset as they will be the people who help make your business a success. The most important thing for business success is: Get a product or idea that you truly believe in and from this build out a robust business plan and stick to it. Set achievable goals, research and plan towards them. You need to have a clear idea of where you want your business to be at any given time. This will allow you to measure success and enjoy it. Create a good working environment between all staff and management as this will always help boost productivity which will only help the business to achieve its goals. Lastly: always know your competition and set out to do what they have not done or cannot do! Slidingbifolds was formed in early 2011 when Gareth saw a gap in the market for high quality timber/aluminium bifold, sliding and window systems. After a couple of months of playing with the idea and doing a vast amount of research, he decided to take the plunge. He left his job and started on his own with a £500 cheque from his father, and followed in his footsteps into the construction industry. Gareth’s main highlight from starting the business is the clients and other business contacts that he has met. “I value all my clients but none more so than my staff and my family who have been a rock supporting me and the business to be where we are today,” he says. Next goal for the business is to expand further into the UK and Irish markets — “which we are currently on course to do,” adds a proud Gareth. Since joining RFD in 1986, Moya has played a vital role in the rapid expansion of the business, and has contributed to firmly securing Survitec Group’s position as market leaders in the defence, aerospace and marine safety industry. In her first role as Management Accountant of RFD Ltd, Moya’s contribution to the business soon saw her rewarded with the role of Financial Director in March 2002. Since then she has been instrumental in growing the business to its current turnover of £25 million. 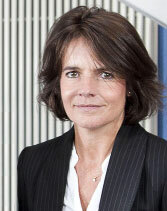 In August 2008, she was appointed Managing Director of the RFD Beaufort UK operations and is responsible for the manufacturing operations at the Dunmurry, Chevanceaux, Calais and Gosport sites. Moya’s focus is to continue to ensure that Survitec Group maintains its market leading position as providers of survival products into the defence, aerospace and marine sectors through quality and innovation. She continues to be committed to supplying high quality premium products throughout the world, whilst providing Survitec customers with the service and technical support which is vital to the industry. As well, as its Dunmurry plant, Survitec has seven major manufacturing sites around the world. Business: Whiskey maker and publican. What it taught me: Solid understanding of the building trade which taught me valuable lessons in life. Family: Three brothers and two sisters. Best advice anyone ever gave you: Respect other people for what they are and when given responsibility deliver as part of that trust. Best words of advice my father ever gave me. Best advice you could give someone starting out: Research the opportunities that are presented to you and make sure you have a full understanding before you get involved. The most important thing for business success is: Surround youself with people who know their buisiness and who understand the financials of any given opportunity. Peter went to St Matthews primary school in the Short Strand between 1965-1974,followed by St Augustine’s secondary school in the same area, leaving school at 16. He started work as an apprentice plumber and became a bus driver between 1985-1996. His life-changing moment came in 1996 when he won £10.2 million on the lottery. The money enabled him to make judicious purchases in the general area of property development and he also acquired a portfoio that includes pubs, retail, shops and a share in the Titanic bus company. “The most rewarding area of business has involved my ownership of the Danny Boy Irish whiskey brand and more recently the Titanic brand,” says Peter. 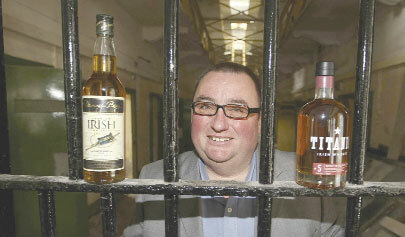 “This involvement in the whiskey industry has now inevitably led me to build a whiskey distillery in the A wing of the Crumlin Road jail which we hope to open as a working distillery and world class visitors’ centre in September 2013.” Peter is also the dynamo behind the Hudson bar, bringing life to the emerging Smithfield and Union district of Belfast. 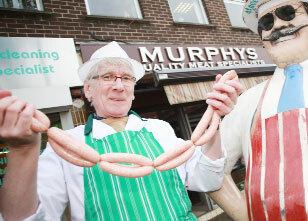 Business/Company: Murphys Quality Meat Specialists. First Job: Barman in the Errigal Inn. What it taught me: Customer service is crucial. Family: Wife, Dianne, and one daughter, Lisa. Best advice anyone ever gave you: Honesty is a very expensive gift, do not expect it from cheap people. Best advice you could give to someone starting out: Work hard, the harder you work the luckier you get. Most important thing for business success is: Customer service. 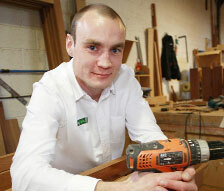 Michael worked hard seven days a week to expand and develop the business. “We now run two successful branches, one on the Lisburn Road and one in Lisburn ‘Meat Here’ and employ six people,” he adds. Place of Birth: Newry, Co. Down. What it taught me: The value of establishing long-term relationships with customers. Best advice anyone ever gave you: Never send e-mails when you are angry. Best advice you could give someone starting out in a business: Make sure to plan in advance and assume your assumptions are too optimistic. The most important thing for business success is: Being happy personally and being able to switch off. Brian Conlon set up First Derivatives in 1996 with £10,000 of borrowed capital. Today First Derivatives plc is the largest indigenous publicly quoted software company on the island of Ireland. First Derivatives has delivered 40 per cent compound growth in turnover and profits since floatation in 2002 and has been one of the best performing stocks on the LSE in recent years. The Company was positioned strategically to address emerging trends such as increased regulation, risk management, market volatility and increasing data volumes within the industry. Today the Company is on course to employ over 1,000 people and serves 70 of the world’s largest investment banks, hedge funds, exchanges and technology companies in 21 countries around the world. The Company’s innovative software is used in resolving many previously intractable problems, especially in the areas of market data and electronic programme trading. The software was architected to be highly scalable and to have applications beyond the capital market’s industry. In 2010 the software was awarded a Laureate by IDG’s Computerworld Honors Program at the Andrew W. Mellon Auditorium in Washington DC. In addition under Brian’s leadership and entrepreneurship, First Derivatives has expanded its specialised range of services to include financial engineering, outsourced development and support and software design and architecture. Richard O’Rawe is the Managing Director of Stellar Leadership. He specialises in leadership, strategic planning and performance management. In 2004, after twelve years as Managing Partner of professional services firm, Venture International Ltd, he developed the Unlocking Leadership programme based on research into best practice in leadership in a knowledge-based economy. He was formerly a regional manager in the public sector, specialising in strategic planning and communications. A graduate of the University of Ulster he has completed postgraduate management studies at the University of Ulster and at Henley, the Management College in England. He has an MSc in Executive Leadership. He was recently made a Fellow of the Institute of Leadership and Management and has a Level 7 Certificate in Coaching and Leadership Mentoring. As part of his work with the International Fund for Ireland he was invited to study economic development in the United States under the US State Department’s Distinguished Visitor Programme. Richard has worked on EU-sponsored enterprise and management development assignments in Denmark, Ukraine, Russia and Zambia. Having managed a leading enterprise agency and property portfolio in Ireland, he facilitated the establishment of enterprise development agencies in Kiev, Ukraine and St. Petersburg in Russia. He is actively involved as a volunteer, formerly as chair of the £40m Connswater Community Greenway Project in East Belfast and as chair of Audiences NI, an organisation set up by the Arts Council to promote audience development. Belfast Met has a turnover of £60m and employs 1,500 staff. It is one of the largest colleges on the islands of Ireland and Great Britain with over 30,000 students attending. 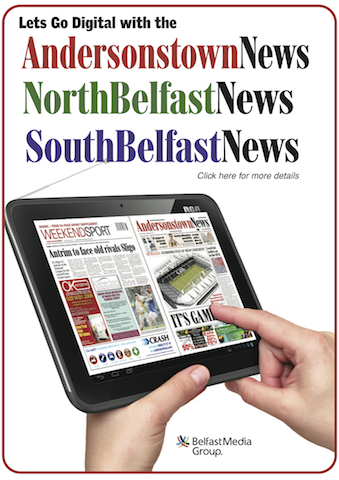 It has recently opened new, state of the art campuses in Titanic Quarter and on the Springfield Road in West Belfast. 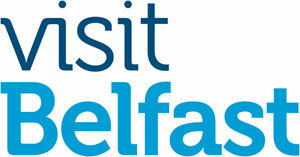 Last year, Belfast MET opened a £30m campus in the Titanic Quarter. Business: Flish – the flat satellite dish company. First Job: Diesel Generator control panel engineer. What it taught me: Don’t stay stuck in a job that you don’t like! Family: One wife and two little girls. Best advice anyone ever gave you: The work I was doing was very valuable even when I thought it wasn’t. Best advice you could give someone starting out: If you think you are working on something that can make a real difference to the world, then keep at it! The most important thing for business success is: Being honest. BEng Degree from Queen’s University, 1993, PhD Degree, 2000, Currently employed as a senior research engineer within Queen’s University. Working on research of self steered antennas with the aim that these will have a huge impact on real life applications, such as a flat, self pointing, satellite dish. Business: Renewable Energy Consultancy and Developer. First Job: Sales assistant hardware shop, aged 16. Best advice anyone ever gave you: My parents instilled in me a believe that I could do anything I set my mind to. Best advice you could give someone starting out: Create a crystal clear vision on what you want to achieve. The most important thing for business success is: Prioritising those things that are less urgent but critically important. 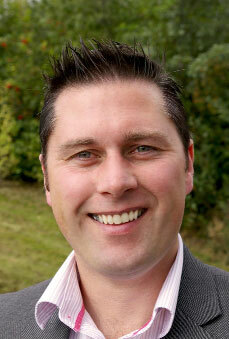 Andrew is managing director of NRG Solutions, a renewable energy consultancy and developer. Andrew has a first class honours degree in Electrical and Electronic Engineering from QUB and a master’s degree with distinction in Renewable Energy from Loughborough University. Andrew has worked in NI in the renewables field for eight years and has been involved in 100’s of MW of renewable energy projects. He is a passionate environmentalist having volunteered for Friends of the Earth environmental charity for over 10 years and spent three years on their Board of Directors. Andrew has created Northern Ireland’s first community owned wind co-op called the Drumlin Wind Co-op, which has raised over £1.5m from individuals (with shares between £250 and £20,000), to build two wind turbines, one in Larne (Co. Antrim) the other in Pomeroy (Co. Tyrone). Individual investors will receive a 10% return on their investment and the Co-op has created a community fund which contributes eight times more to local community projects than traditional wind farms. Place of Birth: Nairobi, Kenya. First Job: Graduate Trainee Williams & Glyn’s Bank. What it taught me: Customers are the lifeblood of any business. Profit in business comes from repeat customers, customers that boast about your project or service, and that bring friends with them. Family: Married to Helen O’Malley and we have seven children – Benjamin, Ella, Rosie, Rachel, Grace, Isaac and Zachari. Best advice anyone ever gave you: It is not enough to do your best; you must know what to do, and then do your best (i.e. do the right things and then do things right and remember the best is the enemy of the good!). Best advice you could give someone starting out: Make sure that you do something that you enjoy and “Be the Change that you wish to see in the world!” And always try to remember all anyone asks for is a chance to work with pride. The most important thing for business success is: Integrity and a positive attitude. 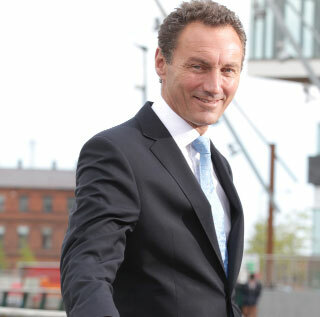 David started as Chief Executive of Titanic Quarter in June 2012 on leaving Quintain Estates and Development plc (quoted on the London Stock Exchange)where he was one of the four Executive Directors and had responsibility for its specialist asset management business focused on residential healthcare, student accommodation, science parks and niche secondary property. In this time, assets under management grew from £1bn to £2.3bn. Prior to that David was CEO of Strategic Investment Board Limited (SIB) for six years, advising Ministers in the Executive on the infrastructure programme across the region. In May 2007, David was awarded the Public Private Finance Award for Individual Contribution (in recognition of the increased activity in Northern Ireland’s infrastructure) and, in September 2008, he received a Fellowship of the Institution of Civil Engineers by presidential invitation. Previous to this, he was one of the driving forces behind the successful growth of David Wylde Project Finance Limited culminating in DWPF winning the Public Private Finance Award in 2004 as best Financial Advisors. David was formerly a Director at Hambros Bank where he specialised in property and tax based finance. 1996/7 David undertook a two year secondment in to the Department of Trade & Industry where he was Head of the Industrial Development Unit responsible for assessing mobile investment across the UK. Place of Birth: Gt Yarmouth, England. First Job: Shop Assistant, Cornfields of Comber Art Supplies, age 15. What it taught me: The importance of customers, cash flow and selling things that people want to buy at a price that is greater than the cost of selling it to them. Also, that all good products come in three sizes – small, medium and large. Family: Married with a young daughter. Best advice anyone ever gave you: A business and a company are not the same thing. Best advice you could give someone starting out: To build a team bigger than the obstacles you face. The most important thing for business success is: Great people. Timothy Brundle has over twelve years experience in the successful commercialisation of technology and business and economic development. His background in the private and academic sectors is complemented by recent success in the management of public to private sector transition and change management. Timothy also has experience raising project and new venture funds, scenario planning, developing intellectual property commercialisation and innovation strategies and authoring public sector reports. He is an experienced and skilled Chairman of both young companies and mature public Institutions. Timothy Brundle is Director of Innovation at the University of Ulster. He is responsible for the University’s commercial output including consultancy, knowledge transfer, intellectual property licensing, technology commercialisation and establishment of spin out companies. In addition he is the CEO of Innovation Ulster Ltd, the University of Ulster’s venturing and investment company, and is a Board member of Invest NI, Northern Ireland’s economic development body. Prior to his appointment with Ulster, on behalf of QinetiQ Group PLC, he held the positions of both Director of Sales and Marketing and Technology Transfer Director within the Ministry of Defence Diversification Agency. Timothy holds a Bachelor of Science Honours Degree in Biotechnology from the University of Glamorgan and both a Master of Medical Science Degree (MMedSc) and an Executive Master of Business Administration Degree (MBA) from Queen’s University of Belfast. For his MBA dissertation, Timothy interviewed CEOs from Northern Ireland’s top 100 companies to produce economic development scenarios, which he has since presented at a number of international conferences. First Job: Showroom Sales at B&Q while at University. What it taught me: I worked primarily on Trade with builders and quickly discovered the way to repeat business was to really focus on relationships and that a good relationship with partners was always a far greater way of generating repeat business than through price. When looking at what I’ve done since then it’s clear that a lot of my focus on User Experience and listening to what your end users want is clearly shaped by these early experiences. For me, any consumer driven tech lives or dies by the User Experience. This philosophy helps us shape our product, iterating on what our users actually want based on defined user metrics. Family: Engaged with a one-year-old daughter, who unfortunately has seen very little of her Daddy this past year. Since she has been born, I’ve flown over 70k miles, being away from home for weeks at a time. As much as anything, gogamingo is a result of a very understanding fiance!! Best advice anyone ever gave you: The most important thing I’ve been told is that while advice from people you trust and respect is vital for success, the most important thing is to be clear in your own thinking and always back yourself to make your own decision because ultimately you are always responsible for your own decisions. Best advice you could give someone starting out: Move fast, move smart and base everything you do on your key business metrics. The most important thing for business success is: Know your customer, what they want, who they work with, how they operate and how you can stand out amongst the multitude of other people vying for their attention. Get out as early as possible and talk to as many potential partners and customers as you can before you commit resources to building/making/delivering anything as it’s critical you know the pain points in your target market and how you will deliver a unique/better solution than currently exists and more importantly, is the pain enough that people will pay to make it go away. Use all this to profile your perfect customer and be as agressive as possible in setting realistic achievable targets for customer acquisition. BSc in Politics from Queens. Worked for a sports management company, providing solutions to leading national sporting organisation such as the GAA and PDC Darts. Was CEO at another local tech company, delivering Performance Management and incentive solutions to clients such as Cisco, EA Games and TechMahindra. 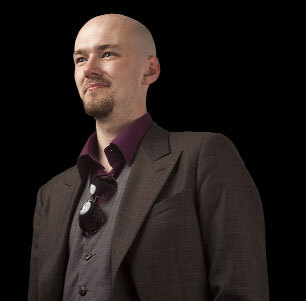 Currently CEO and Founder at gogamingo, a casual games tournament platform based in Belfast and New York. We allow gamers playing their favourite games to post scores into open tournaments where they can compete for real world prizes sponsored by global brands looking increased engagement and interaction with a global games community. I also have a one-year-old who takes up all of my time when I’m at home in NI and who has to put up with her Daddy being away all the time. It’s always great to come home to her as she has zero interest in what I do so I always manage to get away from everything by spending time with her watching Peppa Pig!!! Since the start of the year I have flown over 70k miles, all with United airlines, to the extent that I almost know all the United staff in Belfast by name. We are also delighted that we have taken on Saatchi as our PR company in NY, not something I thought we would be doing when we first started out on this. When we first started out with them we asked if they had ever had another company from NI and as of now, we are the first and only Northern Irish company they have worked with in New York which is pretty cool. 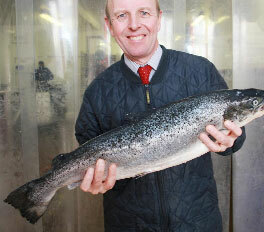 Business: Manufacture and sale of fresh and frozen seafood products. What it taught me: That every decision taken in business has either a positive or negative impact on the financial performance of the business. Family: Wife Imelda and Four children (Mary, Alice, John and Annie). Best advice anyone ever gave you: Work hard and always try to see the positives in everything that comes your way during the day. Also try to keep a healthy work-life balance in things. Best advice you could give someone starting out: Keep focused on your dreams and persevere when times are difficult. If you put the effort into anything, you have a better chance of success although there is no guarantee. Also, have fun in what you are doing. The most important thing for business success is: In the current climate it has to be resilience, committment and attention to detail. But generally, I think there is no shortcut to business success other than hard work and luck! The Keenan family have been in the fish business for three generations since Thomas Keenan and his son Gerald founded T Keenan & Son (Fish Merchants) Ltd back in 1942. The business has prospered over the years and in 1991 was renamed Keenan Seafood Ltd under the ownership of Gerard Keenan. Keenan’s Seafood is currently involved in a major investment programme which will significantly increase its production and storage facilities. It operates from a modern purpose-built facility (which has been fitted to the highest hygiene standards) based on the outskirts of Belfast. From there its fleet of refrigerated vehicles make daily deliveries to a wide customer base throughout Northern Ireland. “Our company ethos is to provide our customers with the highest standard of service and range of seafood products in a profitable and sustainable manner,” says Gerry. First Job: Apprentice Gas Fitter. What it taught me: It taught me to work hard, take nothing for granted, make the most of every opportunity and learn from your mistakes. Best advice anyone ever gave you: Life is about three things: Opportunity, Timing and Choices. Best advice you could give someone starting out: How you treat failure/disappointment will often determine how you progress. The most important thing for business success is: Make things happen; know your business from the bottom up; don’t believe your own PR; keep it simple; employ great people who are more capable than you; and treat everyone as you would like to be treated. Phoenix Natural Gas is the largest gas distribution business in Northern Ireland, being the owner and operator of the licence for the distribution network in the Greater Belfast area. The distribution business is responsible for the development of the pipeline network and also for providing a 24/7 operational and transportation service platform to gas suppliers. Phoenix is responsible for making gas available to arounf half the population of Northern Ireland. Gas is currently available to around 300,000 properties, with over 50% already connected to the network. Place of Birth: Antrim, Northern Ireland. Business: Delegate International Recruitment Ltd.
First Job: PT Waitress at 16 years. What it taught me: Flaming Sambuca is best served out of arms reach of expensive fur coats – or not served by me at all. Still holds true to this day! Best advice anyone ever gave you: Trust your instincts! Best advice you could give someone starting out: Actively listen to advice and other perspectives but ultimately trust your instincts, make your own decisions – be true to yourself. If it doesn’t feel right then it’s not right for you! The most important thing for business success is: A regularly updated business plan. You can be adaptable to changes and open to new opportunities, but remember what you set out to do, who/what you wanted the company to be and be guided by those principles, especially if the plan evolves. Delegate International Recruitment Ltd was established in September 2009 as Northern Irelands only Multilingual Recruitment Agency and one of just four out of 900 agencies in all of Ireland (FAME report). It is owned and managed by Anne Murphy, who’s background includes Recruitment (five years) PR & Advertising (three years) and Hotel Management (nine years) in Operational, Revenue and Sales and Marketing Management roles within 4 and 5 star hotels in UK/Ireland. Having delivered a number of presentations on Languages in Careers to Secondary Schools as well as Undergraduates at University of Ulster and Masters Students at Queen’s University, Anne will be a visiting Lecturer at the University of Ulster this semester on the topic, as part of a compulsory module within the School of Modern Languages undergraduate programmes. Anne has completed the MSc Innovation Programme at Babson College Wellesley, Massachusetts and is currently studying towards a Masters in Business Development and Innovation at University of Ulster, Jordanstown. She is a member of the Belfast Visitor & Convention Bureau’s Ambassador Programme, promoting Belfast as a destination for Business Tourism. First Job: Answering the phone for Daleway, Dad’s driving school business. What it taught me: I think I learned to say ‘hello, Daleway’ before I could pronounce my own name. The phone was my Dad’s ‘conversion funnel’. He taught me that the customer always came first, that clear, professional communications could be a simple but effective differentiator, and that the phone had to be answered, even if it rang in the middle of ‘Neighbours’. I think that attitude has served me well. It taught me to be attentive and to listen carefully. Family: Married to Suzanne, father of Ben and the fast-growing ‘Bump’ due in January. Best advice anyone ever gave you: My friend Chris always encourages me to ‘give an extra 1%’. Its hard to be perfect, and most people make do with ‘just ok’ – so forcing yourself to push that little bit further can pay dividends. Best advice you could give someone starting out: Always get paid. If you listen to your customers and solve their problems, they will pay you. If you’re having trouble getting paid, you haven’t got a business yet, so keep listening! The most important thing for business success is: Focus. Rich Dale is CEO of Crafty Devil, a fast-growing developer of web-based business customer and service management tools. With a passion for simple, effective web-based user experience, Rich has been involved in the technology sector since 1997, working with a range of well known brands, before co-founding Crafty Devil in 2006. Since then the company has grown rapidly to deliver revenue-enhancing applications for After-Market Product, Service and Customer Relationship Management, compliance, workflow optimisation and business intelligence reporting. Crafty Devil works with both new, and established companies, to deliver innovative web-based software. With clients ranging from Survitec Group, the global leader in marine and aerospace survival products and services, to Team Kit Pro, an innovative local technology startup working in the leisure- and team-wear sector, the Crafty Devil team demonstrates that web technology can deliver huge competitive and disruptive advantages. Rich is a keen musician, and has toured across the UK and Ireland with several groups. In recent times, Rich’s spare time is spent discovering the wonders of raising a small child, and enjoying the therapeutic benefits of growing and cooking his own vegetables. Rich also serves on the board of Addiction NI, Northern Ireland’s Drug and Alcohol Treatment charity. Place of Birth: Royal Hospital, Belfast. Business: DonnellyDickson Estate Agents/ NorthernProperty Estate Agents. First Job: Working on building sites in London from age 16. What it taught me: Whilst working for my Uncle Jim (a mentor of mine) a contractor in London, this gave me a great insight into the Construction Industry. I realised that I wanted to work within the Construction/Property sector (though not necessarily painting pipes). I went on to graduate in Civil Engineering at Queen’s University, Belfast. Family: Married to Cathy, with two children, Ronan (5), Oliver (2). Best advice anyone ever gave you: Live your life how you want to and not how others would like you too! Best advice you could give someone starting out: Set Realistic Targets and to try and enjoy it. The most important thing for business success is: People, neither of our businesses would succeed without the fantastic teams we have pulled together in both offices, DonnellyDickson Estate Agents (Lisburn Road) & NorthernProperty Estate Agents (Falls Road). Tony Donnelly, Partner in DonnellyDickson Estate Agents (Lisburn Road) and Managing Director of NorthernProperty Estate Agents (Falls Road) has always immersed himself in the world of Construction and Property. The former St Mary’s Christian Brothers Grammar School pupil took up summer placements working on building sites in London when he was just 16 and was determined to carve out a career in the Construction/Property Sector. After graduating from Queen’s University Belfast as a Civil Engineer Tony went to work for various construction giants including Farrans and O’Hare & McGovern. Together with brother Declan Donnelly the two began to amass their own property portfolio and from this in 2006 NorthernProperty was formed. DonnellyDickson was formed in 2010 with business partner James Dickson (Jordanstown Real Estate). After working together in 2009 on a 120 property portfolio which NorthernProperty had been appointed to manage by Receivers PriceWaterhouseCooper (PWC) the two decided to form a new estate agency on the affluent Lisburn Road. Offering all the usual estate agency services as well as offering specialist property consultancy to lending institutions, insolvency practitioners and private clients. Through the experience working alongside PWC this enabled DonnellyDickson to be in a strong position to assist banks and private clients to resolve their property/liquidity issues. DonnellyDickson now act as Fixed Charge Receivers and Property Consultants to all the major NI banks establishing themselves as a leading competitor in this market. Tony puts his consistent success down to respect for his clients and the importance of transparency between clients and lending institutions. Age: Roisin – 37, Kathy – 39.
Business: Makeup Artistry Training Academy. First Job: Clarins Cosmentics MAC Cosmentics. What it taught me: While working for both these companies Kathy and Roisin learned that customer care is vital in working with the public. Family: Both Roisin and Kathy have three children each. Best advice anyone ever gave you: You are capable of wonderful things, believe in yourself. Best advice you could give someone starting out: Work hard, believe in your vision/dream, don’t listen to any negativity, show gratitude for everything you have and achieve and the rest will follow. The most important thing for business success is: We believe the most important thing for success is customer care, if you are caring about customers’ needs then you will have a returning customer/student and people will soon hear about the positive experience and care they will receive while visiting your business. We have an open door policy at The Makeup Boudoir, which means that any of our students who need to call in or phone us about anything that they need advice about they can do so. We are very relaxed and approachable in our method of teaching as we believe that our students learn more if they are made to feel relaxed and comfortable. This has helped our business grow from teaching six students one day a week to now teaching 60 students over five days a week at present. For this we are very grateful. Another thing that has helped us build success in our business is Gratiude… Believe… Acheive… Receive. Both Kathy and Roisin have worked for leading cosmetic companies for 20 years including MAC, Clarins, Calvin Klein, Lancome, among others. We have been freelance makeup artists also for this length of time, working with brides, fashion shows, concerts, etc. We both were teaching makeup to either staff or customers and felt the time was right to branch out on our own. We secured a location in the community run Conway Mill. We are a Makeup Training Academy who in the past year has secured a creditation to our course with the Open College Network. This has in turn opened our doors to community based groups being able to secure funding to complete our credited courses. Our students are a credit to us, they have been focused on their training and this has paid off, they are working with leading cosmetics companies and as freelance artists securing themselves successful careers in the makeup industry. We give 100% dedication to building our business as it is our passion and baby that we have watched grow vastly in just under two years of us setting up. We have big plans for the future of our business and are committed to making these ideas of expansion and product line a success also. Business: Communications and political consultancy. First Job: Political assistant to Joe Hendron MP. What it taught me: To respect people from all walks of life, and that if you believe in a job you need to give it all the energy and commitment you have. It also taught me the value of working in a team and drawing on the different skills and talents of those around you. Working for Joe Hendron was also an honour, he was an inspiration and someone that I still look up to today. Family: Married with three young sons. Best advice anyone ever gave you: Quite simply: to work as hard as you need to to get the job done. If you aren’t prepared to put in the effort required then don’t bother. I have also been taught that family and work balance is important, and that work should not eclipse family life. Don’t expect success to come easily, but if you work hard and put in the effort, it will come. I give the same advice to U-12 footballers: always do your best, and never give up. Best advice you could give someone starting out: If you believe in what you are doing, and if you give it the required focus, energy and committment, it will work out in the end. If you have any doubt that you are on the right path – then you aren’t. The most important thing for business success is: Learn to take good advice from a few wise old heads, and act on it. There are people who have been down the business road before you and they have made mistakes, learned lessons and got a lot of things right. If you are lucky enough to be able to avail of their advice that is a blessing. I have benefited enormously from taking on board the lessons learned from other people. You have to pursue a business objective you believe in; that’s when you will give it the commitment required to be a success. Brendan was born in Belfast and grew up in Riverdale, Andersonstown. He was educated at Holy Child Primary and La Salle secondary schools before graduating from Queen’s University in English and Politics in 1990. 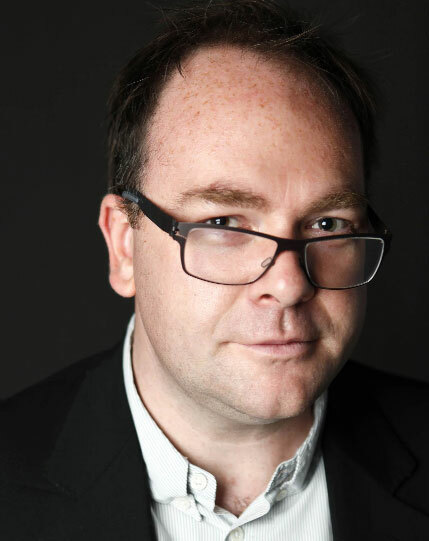 He is currently the Managing Partner at Belfast based communications and political consultancy MW Advocate, and was previously Managing Director with Stakeholder Communications Group. Has advised a wide range of private and public sector clients as well as voluntary organisations on their communications and political engagement; he also worked in Stormont as a Political Advisor. 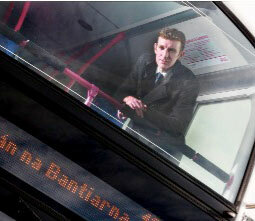 An advocate for New Belfast, Brendan is committed to promoting the potential of our city. He is also a commentator on the use of Social Media in business. Brendan is a member of the Antrim GAA County Board and spends his spare time coaching young Gaelic footballers and attempting to roll back the years through running along the Lagan Towpath. What it taught me: That to achieve anything I had to work for it myself. My parents couldn’t afford to pay for me to go on a school trip and it took me some time to get over the disappointment to understand that if I wanted to achieve something, I had to make it happen myself. I knew that some of my friends worked on milk runs in the town of Enniskillen and I asked for a job. It meant me getting up at 5am in the morning and working through to 8.30 before going to school. The milkman himself was a small businessman and it taught me how to manage money and the value of every penny to keeping a small business on the road. But there were huge rewards – I learnt the benefit of hard work, friendship and the beauty of Fermanagh at daybreak! Family: Wife Sheila and three girls, Ella (12), Mia (10) and Freya (2). Best advice anyone ever gave you: Fermanagh is normal; its the rest of the world that’s mad. Best advice you could give someone starting out: Stick to the knitting. Do what you enjoy and know best. The most important thing for business success is: A vision. Whether it’s a milkman trying to ensure he can pay his suppliers in Fermanagh or a multi-national, we all need a clear goal and a vision for a better future for the company, its staff and its clients. Difficult times make it ever more important that we know what exactly it is we are trying to achieve and why. It is clear that the companies that have a clear vision at their heart are the ones that succeed not only in terms of profit but of benefit, financial and otherwise, to staff and the wider community. Born in Enniskillen. Joined the Impartial Reporter in Enniskillen aged 17 where I worked for nine years until leaving to work at Downtown Radio in 1993. Joined UTV in 1997 to work as a reporter, later joining the Current Affairs Department. In 2002, I was appointed Editor, Current Affairs and the same year won “Broadcaster of the Year”. In 2004 and 2005, we won back-to-back Royal Television Society Awards (the first in UTV’s history) for two investigative documentaries – “When Hospitals Kill” and “Under The Law”. As a result of “When Hospitals Kill” a public inquiry was set up to examine the deaths of several children in hospitals here. 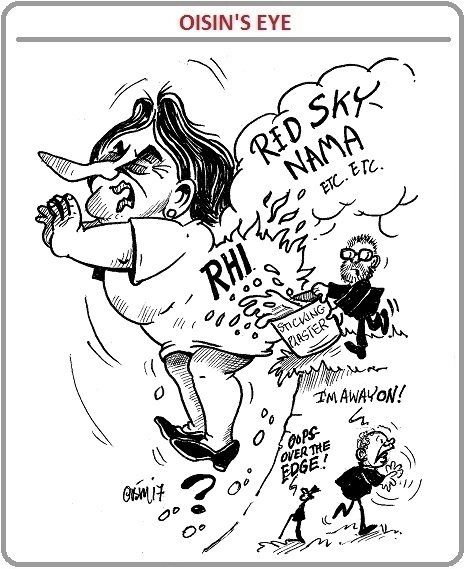 In 2006, I co-founded Below The Radar with Ruth O’Reilly. Since then we have produced investigative journalism for Channel 4, BBC Newsnight and RTé Prime Time. We have produced English language documentaries for BBC, RTé, Sky Television and the History Channel. As gaeilge, we produce for BBC and TG4, launching the website, Meon Eile in 2012. In 2011, we launched the investigative journalism website, The Detail, funding by Atlantic Philanthropies and Screen NI. Below The Radar won a New York Film Festival award for a documentary on John Hume and are co-producers of the recently released “Mea Maxima Culpa” a $2m documentary directed by Oscar-winning director, Alex Gibney. Below The Radar began producing documentaries for TG4 in 2009 and since then the company has built an Irish language department focused on delivering high-quality, journalistically focused content for the three main public service broadcasters in Ireland, north and south. We are currently in post-production for the third series of Luí na Talún for BBC NI. Earlier this year, the company launched Meon Eile, a new website funded through the Irish Language Broadcast Fund which created three new full-time jobs at our Belfast base. The team has already produced over 60 video packages examining a broad range of news, sport, current affairs and cultural issues. Business: Lyle Bailie International Limited. First Job: Advertising and Sales Promotion, Oneida Silversmiths Bangor. What it taught me: To walk through walls to meet a deadline. Family: Daughters Rachel, Johanna and Abigail. Best advice anyone ever gave you: Truth Well Told. Love your customers. Everything flows from that. The most important thing for business success is: Vision. Awarded OBE for services to Road Safety in 2011. Educated at Queen’s University Belfast 1968-1971. Trained in advertising and sales promotion by US cutlery manufacturer Oneida Silversmiths, 1972-1975. Joined advertising agency life in 1975. Over 36 years’ experience in researching, managing and creating advertising designed to change behaviour. Over 17 years’ experience in road safety attitude and behaviour change. Responsible for the government’s security and peace advertising 1998-1999. Sir Patrick Mayhew, retiring as Secretary of State, said “your own campaigns…have been seminal”. 44 Effectiveness Awards for evidential case studies at national, European and global levels, including the David Ogilvy Gold from the Advertising Research Foundation in New York. 259 Creative Awards including 6 Grand Prix. Appointed by the North-South Ministerial Council to the Board of Tourism Ireland in 2007 and serves on the Board’s Risk Committee, scrutinising £72.5 million of exposure. Responsible for over £170million cumulative turnover since 1987. Admitted as an awarded member to the prestigious D&AD for copywriting in 1988. Led the Management Buy-Out of McCann-Erickson Belfast Limited, with Julie Anne Bailie, in February 2004 and re-branded the agency as LyleBailie International. Business: Digital Marketing Systems Ltd.
First Job: Sales & Marketing Trainee, Ewart Liddell, Donaclony. What it taught me: Ewart Liddell specialised in Irish Damask weaving and thoroughout my training I learnt not only the manufacturing process but also about the business from warehousing (goods in) to warehousing (goods out), Sales, Marketing and Financial control. My training period was one year and I had to submit a detailed thesis on the business and its customers to demonstrate I fully understood the internal and manufacturing processes. This was presented to the Directors and my future within the Company depended upon a satisfactory appraisal – thankfully I was retained and sent to London to work in Sales and Marketing from there. Family: Married to Wendy with two children. Evie, starting Bristol University this year and Katie has started her A level years. Best advice anyone ever gave you: Keep going. Acquire Knowledge. Accept you can not know it all and know when to seek qualified advice. If it’s free, it probably doesn’t work! Just because you think it’s a good idea doesn’t mean it is. TEST IT! And finally, know your customer. Best advice you could give someone starting out: All of the above! The most important thing for business success is: Be thorough in everything you do. Include your colleagues and staff in your vision. Measure performance against anticipated outcomes and revise and adjust as you go. Don’t ignore danger signals. Born in Portadown, educated in Belfast and trained with Ewart Liddell. Spent five years in London moving to join JP Stevens, New York as Manager Europe and Mid-East Commercial Fabrics Division. Returned to NI to join Magee Clothing Holdings and spent 15 years as Group Sales & Marketing Director. Started my own agency business, developed into retailing and unfortunately the recent financial crisis hit us badly when our main supplier was forced to pull out of the UK. Whilst retailing I had started development of a touchscreen database builder and messenger platform and this has now become my principal business. Successfully pitched to NISP Angel Funding and I am now CEO Digital Marketing Systems Ltd. We provide our systems to many NI companies and the Lisburn Road Business Association. First Job: Trainee Chartered Accountant, Coopers and Lybrand (now PwC), Belfast. What it taught me: To become more self-confident, give my opinion and to work as part of a team. It also taught me how to adapt to change and learn to cope outside my comfort zone. Family: Husband Brian, 3 daughters, Hannah aged 8, Lucy aged 6 and Alice aged 4. Best advice anyone ever gave you: Choose your business partners wisely. I won’t say who told me that – but it’s the first thing I now do. Best advice you could give someone starting out: Be prepared for hard work, disappointments, self-doubt and taking risks. People say it should be fun – but my experience is that it’s mostly hard work (sorry to be negative!). The most important thing for business success is: Know every part of your business from the bottom to the top (or ‘from soup to nuts’ as the Americans say). Be involved in every decision, make the best call you can on every decision every day – and make sure you choose the right team of people around to help you achieve that success (‘alignment of interests’ my husband calls it). Mary McKimm is the Owner and Director of Yours Florally an ecommerce start-up that launched in mid-August 2012. Her mission statement is ‘make someone bloom’ and she aims to make giving flowers a lot less ‘corporate’ and a lot more ‘social’. Mary works in partnership with two of Northern Ireland’s leading technology companies to deliver a service to customers that is both highly personal and accessible. She graduated from University of Ulster with a BA Hons in Accounting and joined Coopers and Lybrand (now PricewaterhouseCoopers) as a trainee Chartered Accountant. She passed her professional exams and was admitted to the Institute of Chartered Accounts in 2001 and is now a Fellow (10 years membership). 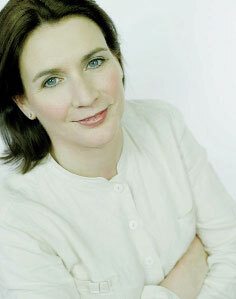 She left PwC in 2003 and worked for O’Kane Food Service as Financial Controller for three years. Mary then moved to the Northern Ireland Office for two years (as Head of Finance) and from there transferred to the Department of Finance and Personnel (as Deputy Principal in the Budget Monitoring Unit). In 2007, she took a 5 year career break to bring up her family (Hannah (8), Lucy (6) and Alice (4) plus cat Pixie (9 months)) – so Yours Florally is Mary re-engaging with the real world! She us married to Brian, also a Chartered Accountant, who works for a technology company in Dublin. BC (before Children) she was a keen squash player and runner – and competed for Ireland juniors in trampolining (before it was an Olympic sport). “I need to get fit again!” she says. First Job: Estates Officer with Belfast City Council. What it taught me: Basic understanding of how to survey and value property together with an understanding of how the City Council operates within their various departments. Family: Wife and 2 grown up children. Best advice anyone ever gave you: Be on time and show enthusiasm. Best advice you could give someone starting out: Try and get as much experience as you can as soon as possible even if it means earning less money. Also I feel it is easier to get another job if you are already employed. The most important thing for business success is: Determination to succeed and overcome the various problems you will face. I was educated at Belfast Royal Academy and my first job was with Estates Department of Belfast City Council. I then moved to the Estates Department of the Antrim/Ballymena Development Commission, which was responsible for the regeneration of Antrim and Ballymena Town Centres. After three years with the Commission it was wound up and I was transferred to the Lands Division for the DOE at County Hall, Ballymena. During these 5-6 years I gained valuable experience of the workings of the public sector in respect of property, planning, roads and building control. 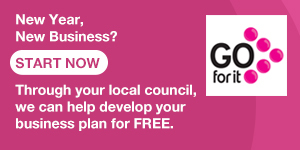 From my first position with the City Council I studied part time and qualified as a Chartered Surveyor and was offered a position in a private estate agency where initially I was involved in residential sales and building society surveys. In 1985 I was made a partner in this practice and had by this time become more involved in commercial property specialising in sale and valuation of licensed premises. During the recession of the late 1980s and early 1990s many houses were repossessed and I held auctions of these properties on behalf of two of the major building societies. Little did I know that 20 odd years later there would be a much worse recession and I would be involved in the same scenario. In 2001 I was approached by Osborne King, the second largest commercial estate agents in Northern Ireland, to become Director in charge of their Licensing & Auction Department where I have been ever since and which have been an interesting 10-11 years. First Job: Consultant in economic development. What it taught me: The value of coming from Belfast to an international careeer. Family: wife and son 10. Best advice anyone ever gave you: There is no such thing as ivory towers and don’t trust anyone who lives in one. Best advice you could give someone starting out: Timing is everything, and dont leave it too long. The most important thing for business success is: Managing and retaining your best people; hire people who are smarter than you. Mark O’Connell is CEO and founder of OCO Global, one of Europe’s leading trade development and inward investment consultancies with over 40 staff in 6 countries including US, Europe and Asia. OCO Global advises governments and companies on international trade and investment strategies, underpinned by market analysis tools, in market representation and economic research services. At the start of his career, Mark gained a First Class Honours degree from University of Ulster in Business Studies and French and a Masters degree in Marketing Management from Lancaster University. Mark was also awarded a Licence in Sciences Economiques from Universite de Caen and speaks French. Mark’s industry experience includes two years at IMES UK an economic development consultancy firm where he worked as a consultant in international trade, four years with Alrumaih Corporation, a Saudi investment firm where he managed a portfolio of retail and consumer goods clients ranging from Bally Shoes to Mexx apparel. This was followed by two years with Enterprise Ireland in London, the Irish government export agency. Prior to establishing OCO in 2001 Mark spent the last six years of his career in the management consultancy division of Price Waterhouse Coopers. In the last decade Mark has established OCO Global, a leading boutique consultancy firm which specialises in FDI and International trade. OCO clients include private firms, government agencies and international organisations. Mark is retained by a number of leading private clients to advise them on international expansion and corporate location decisions. He also has participated on the Boards of Government Agencies such as UK Trade and Investment, Invest Sweden Agency, Enterprise Ireland, Italian Trade Commission, Invest Hong Kong, Enterprise Florida and the State of California. Mark is also regularly cited as an FDI expert in leading publications such as the Economist, Wall St Journal and Financial Times. Mark has published a wide range of thought leadership pieces on FDI including OCO’s Annual Report and is widely quoted in international media. Mark is an accomplished public speaker and regularly participates in international conferences on investment including WAIPA, UNCTAD, IEDC, MIPIM, La Baule and UK’s Global Investment Conference. Mark is also a founder and shareholder of Loco Software who together with OCO Global developed the well-known database tools fDi Markets and fDi Benchmark before their acquisition by the Financial Times in 2008. Mark is currently in an interim role with UKTI as Global Operations Director for Investment, and is responsible for their overseas network. Mark serves on the Board of the IEDC. 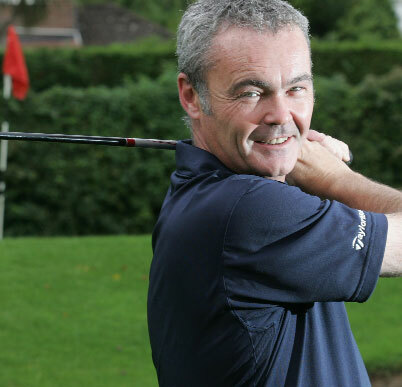 Mark enjoys sailing, fishing and golf and modern literature. He lives in Belfast and is married with one son. Business: All Electrical Recycling Ltd.
What it taught me: Work hard and then get another job you actually enjoy! Family: A fab 3 yr old and another one on the way. Best advice anyone ever gave you: It takes a lot longer that you could ever imagine to build a strong cohesive staff body around you. But stick with it, be strong and fair and you will get that group of people. Best advice you could give someone starting out: Be sure this is what you are good at and are really interested in and prepared to make sacrifices for years. Your staff are your greatest asset and will be your toughest challenge. The most important thing for business success is: Clarity of planning. Brian Johnstone is the Managing Director of AER Ltd, founding the company in 2010. He has a varied educational and employment background having completed a number of undergraduate and postgraduate qualifications from accounting to design and having travelled the world for more than 10 years prior to returning to Northern Ireland. He entered the recycling industry in 2004 working on a project to promote the use of recycled materials in art. Having developed a career path into the WEEE sector, he seized an opportunity in 2010 created by the then recent changes in government legislation in relation to the disposal and recycling of end of life electrical and electronic materials. AER Ltd has grown rapidly since its formation and became Northern Ireland’s first Producer Compliance Scheme last year and won the Belfast Media Top 50 Businesses ‘Impact Award’ in 2011. Brian is married to Niamh (pictured), who is also his business partner. They have one child and another on the way. 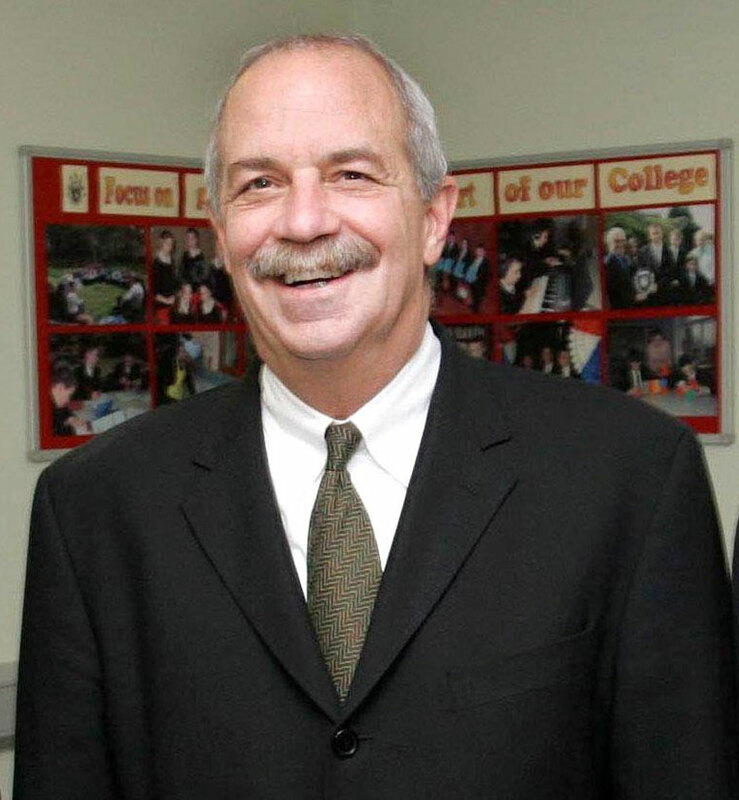 Ed Vernon, a native of Andersonstown, was founder and Chief Executive of BIC Systems, a leading technology solutions business which was acquired by BT plc. Ed is a former Chairman of the NI Software Industry Federation, led a fundamental review of strategy for the software and technology sector and was Chair of the Matrix ICT Panel. He is Chairman of Macildowie, a leading specialist recruitment business in the British Midlands, is a Foundation Board Trustee of Queen’s University, Chair of the Founders’ Club at Queen’s, Strategic Advisor to BT Ireland, a Belfast Harbour Commissioner and is Asset Management Advisor to the Northern Ireland Executive. 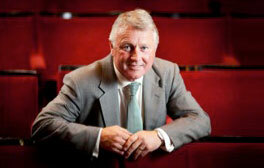 He is a former member of the CBI Northern Ireland Council and IoD Northern Ireland Committee. Ed has received a number of business awards including the BCS IT Professional of the Year, the Institute of Directors Award of Excellence and entry into Invest NI’s inaugural Entrepreneurial Hall of Fame. He was awarded the OBE in June 2012. First Job: Marketing Executive for recruitment firm. What it taught me: Drive, determination, ambition. In these challenging times it’s crucial to empathise with clients; understand their needs and offer effective solutions. Best Advice anyone ever gave you: Do the groundwork, don’t take shortcuts. Never be afraid to ask for advice from those you trust, but also have the courage of your convictions. FML Technologies developed the ‘Pinnacle’ system, a fully interactive training package that engages individual users in various industries. The system is totally bespoke, using audio-visual training modules developed in partnership with each individual client in order to ensure their specific training requirements are met. By providing users with true-to-life scenarios instead of an off-the-shelf option, ‘Pinnacle’ can effectively test an individual’s decision making when faced with situations they may encounter in real life. Pinnacle overcomes the usual barriers in training, including the ‘Alpha’ situation where an individual might not fully grasp an element of the training, but stays quiet in order to avoid peer group ridicule. With ‘Pinnacle’ , if you do not pass the first time, you can continue to practice until you are familiar with the training requirement and you can also refer to it as a quick study aid. All results are logged and flagged to the appropriate line manager where necessary, meaning ‘Pinnacle’ is a fully accountable and quantifiable resource. The system does not replace traditional classroom training. However, as an augmenting platform it is unrivalled. In terms of positively reinforcing existing training methods, the benefits of ‘Pinnacle’ are that it has been specifically developed to be time and cost effective; be fully accountable and quantifiable; motivate the end user; help clients avoid litigation; provide immediate feedback; and provide quick reference and reinforcement. What it taught me: In between school and university I had the opportunity to be a part time sub teacher in a few schools. It taught me never to underestimate how challenging a teacher’s work was, never to go into a class or meeting unprepared (classrooms can be very unforgiving of people who try to wing it) and never underestimate the potential of a young person to shine if they are given support and encouragement. Family: Two daughters, Claire and Jeni, and my wife Carmel. Best advice anyone ever gave you: 4 years into my career as a software engineer, I was given the responsibility for managing a project developing software for dealer boards. The technology was new, the specification was unclear, the deadlines were unreal and the tolerance levels of the customer were non-existent. My director, who was a great mentor, knocked on my door and said he had some advice for me. I thought he was going to give me clues on how to navigate the minefield. He said, “don’t take what people say about you too seriously” and walked out. The best advice I could have had. In other words, don’t depend on your reputation and don’t pay too much attention to the criticism, just stay focused on the job and allow the delivery to make your point. It was the project which really launched my career. Best advice you could give someone starting out: Take the time to learn the basics of the work you are doing. There is all the time in the world to be a manager later on, but you will only be a good manager or leader, if you know what it is like to be a part of a team, to have to get to grips with uncertainty and to be able to deliver under pressure. No one can succeed forever by themselves, to achieve great things you need to understand what it is to be a part of a team, and to recognise the talents that others bring to the party. In that way, when the time comes, you will be able to create teams and loyalty which is the magic sauce to succeed in achieving the well nigh impossible. The most important thing for business success is: Clarity of purpose, integrity of action and relentless focus on execution. Sinclair Stockman is Director of Digital Northern Ireland 2020 and Chairman Data City Exchange. He has various advisory roles. Educated at Rainey Endowed, Magherafelt, Balliol College, Oxford, University of Pennsylvania and Queen’s University Belfast. Sinclair’s first work experience was in his father’s garage where he learnt some of his most important business lessons. He was married in 1979 to Suzanne, who died of cancer in 2008. Sinclair has two daughters, Claire and Jeni, both international citizens. His first grandson, Harry, was born this year. Remarried to lifetime friend, Carmel, in 2011. Sinclair has been an active member of Corrymeela Community for many years. He has spent time as a software engineer, project manager, programme manager, Divisional Director in BT Technolgy Divisions. Subsequently 3 years in France as a Managng Director of a joint venture with Vivendi, Cegetel Systems. Sinclair was Group Chief Information Officer, and then President of BT Global Services Systems and Networks. “Probably one of the projects I am most proud of is championing the deployment of communications equipment to provide relief in Kashmir following the earthquake, which demonstrated how technology can be used to save lives and build communities,” he says. A self-employed transformation advisor, Sinclair now works across many sectors with technology underpinning all his projects. He recently qualified as a scuba diver, and already has 20 dives under his belt. “The lesson – it is never too late to try something new,” he adds. First Job: Civil Service Fast Stream Graduate Trainee. What it taught me: Even powerful organisations are only as good as the people they recruit – and they have flaws and fragilities as all people do. Family: Married, 4 children, aged 4-11. Best Advice anyone ever gave you: Don’t waste your time doing any job you truly dislike. You will never be good at it. Trust your gut instincts and find your real role. Best advice you could give someone starting out: Don’t wait until you’re 100 per cent certain that you are ready for that next role or step up. Push yourself, test yourself and you will be surprised what you can achieve. The most important thing for business success is: not to waste time. Think about what you need to do, and get on with it. 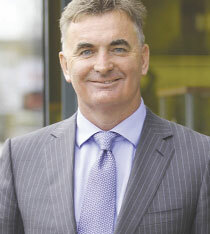 Gerry Mallon has been CEO of Northern Bank since July 2008. He is also a member of the Executive Committee of Danske Bank Group. He has worked in banking since 2002, having previously been a consultant at McKinsey & Co. Gerry was educated at Cambridge University, graduating in 1992 with First Class Honours in Economics, holds an MBA from University of Ulster and is a certified banker. 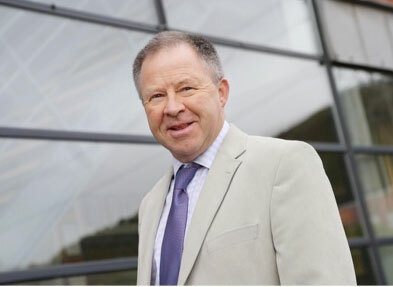 He has been Pro Chancellor of the University of Ulster since 2009 and also serves as Chairman of the University’s Council, having been a Council member since 2004. He is also a member of the Economic Advisory Group and sits on the Board of Business in the Community NI. First Job: Working in the docks. What it taught me: To get a better job quickly. Family: Two sons, one 25, one 15. Best advice anyone ever gave you: In life, teach your children to be leaders, not followers. Best advice you could give to someone starting out: Make sure your business is something you’re passionate about and that you know more about it than anyone else does. Most important thing for business success is: Customer satisfaction. 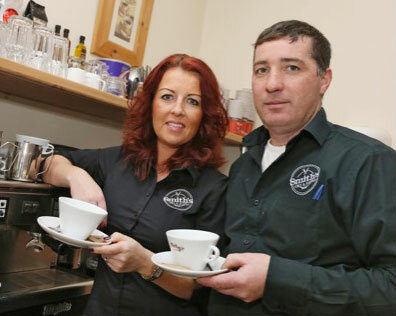 Like most fine wines and good food the coming together of Denise Downey and Michael Rogan in the Gaeltacht Quarter bistro Caifé Feirste has taken time, that most precious of ingredients. Denise’s earliest memories as a child are at her mother’s side, cooking – at home in Ireland, in South Africa, Australia, India, Asia, before returning to her native Dublin where she looked after VIP catering for Rock ‘n’ Roll promotions business, MCD. Stars such as Neil Diamond, U2, Westlife and Elton John have all enjoyed Denise’s unique fusion food which is now served, with love, in Caifé Feirste within Cultúrlann McAdam Ó Fiaich on the Falls. Amhail teacht in inmhe na bhfíonta is fearr agus an bhia mhaith, ba é an comhábhar is luachmhaire sin, an t-am, a theastaigh chun an nasc idir Denise Downey agus Micheál Rogan a tháthú. Is é an chuimhne is faide siar i gceann Denise ná í le hais a máthara agus iad beirt ag cócaireacht – sa bhaile in Éirinn, san Afraic Theas, san Astráil, san India, san Áise. Ar philleadh di ar a baile dúchais, Baile Átha Cliath, chuaigh sí ag obair do MCD, mórchomhlacht na bpromóisean rac agus roll san Eoraip. Ba í Denise a bhí i mbun lónadóireachta do na maithe agus na móruaisle. Réaltaí ar nós Neil Diamond, U2, Westlife, Elton John agus leithéidí an iar-Thaoisigh, Bertie Ahern, agus Gerry Adams, bhlais siad uilig de dhraíocht-bhia cumaisc Denise, bia atá á chur ar fáil aici anois, le grá agus le gean, san ionad uathúil sin, Caifé Feirste, atá suite i gCultúrlann McAdam Ó Fiaich i gCeathrú Ghaeltachta Bhéal Feirste. First Job: Software Engineer – F G Wilson. What it taught me: Straight out of university, it was a really intense learning experience. Working with the senior management team gave me an incredible insight into the importance of timely and accurate information for making decisions. Best advice anyone ever gave you: Be emphatic. Best advice you could give someone starting out: Think big and seize the opportunity. In today’s globally connected world, nowhere is too far and nothing is unreachable. Don’t be afraid to embrace it. Keep challenging yourself, don’t settle for second best and do what you enjoy doing. The most important thing for business success is: People. With the right team you can achieve whatever you set yourself to do. Getting the right person for the right job is one of the hardest things in business. CyberSource solutions enable organisations of all descriptions and sizes to safely accept online payment for their goods and services. Founded in 1994. It quickly became one of the world’s first organisations to build a website equipped with the now-familiar ‘buy’ button. Approximately 370,000 organisations use CyberSource eCommerce payment, payment security, and anti-fraud solutions, including half the companies that comprise the Dow Jones Industrial Average. CyberSource was acquired by VISA Inc in July, 2010 for $2bn. 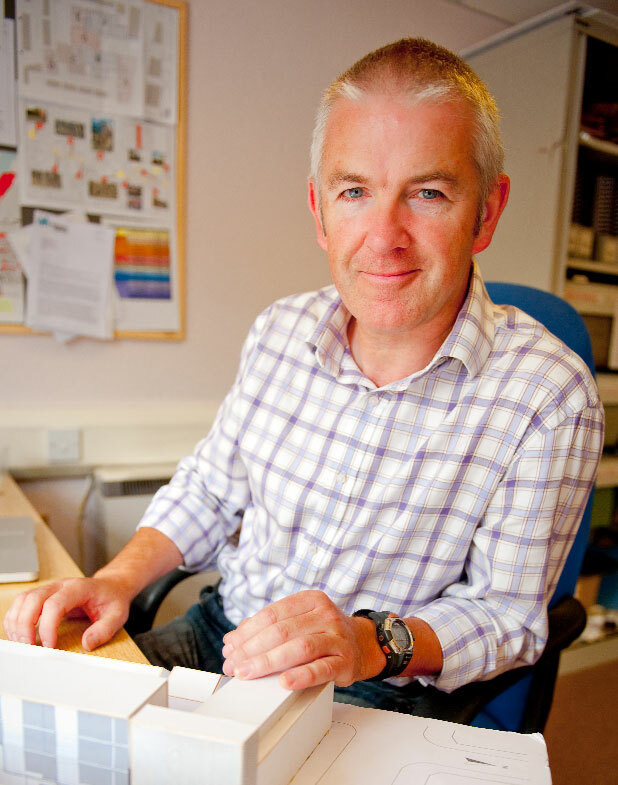 Brendan Smyth directs and is responsible for the day-to-day activities of CyberSource NI Ltd. He was CyberSource NI’s first employee in August 2008 and has grown the Belfast centre to become a fully operational, self sufficient unit with over 70 employees. Prior to joining CyberSource, Mr. Smyth was a delivery centre manager at the Halifax Bank of Scotland (HBOS) E-Business Centre, based in Belfast. Mr. Smyth played a pivotal role in establishing the centre as a value-added asset for the HBOS group. Prior to HBOS, Mr. Smyth was a senior manager at Liberty Information Technology, and before that he was IT Manager for three specialist hospitals in Belfast. 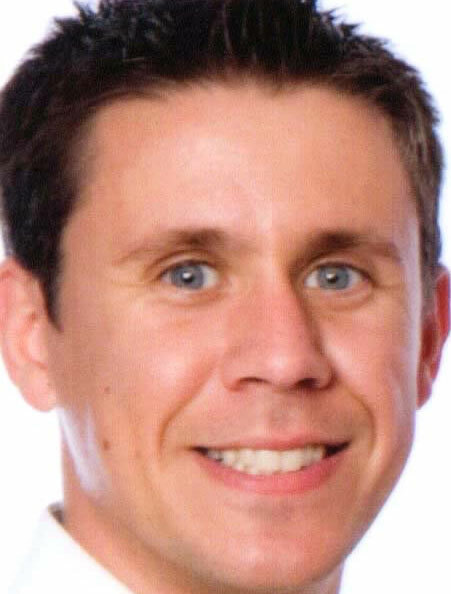 Brendan holds an MBA from the University of Ulster and a Bachelor of Science in Business Administration and Computer Science from Queen’s University Belfast. Terence Brannigan was recently appointed as the Chair of the Maze-Long Kesh Development Corporation, adding to an already busy portfolio for the former Chair of CBI Northern Ireland. A Director of The Pushkin Trust, Chairman of Glentoran FC, CEO of Connected Health Ltd and a Visiting Professor at the Business Institute of the University of Ulster, he was also previously CEO of Resource. Northern Ireland’s largest private sector employer with over 15,000 staff and more than 2,000 customers, Resource delivers a range of support services to blue-chip clients across the whole of the UK and the island of Ireland. Mr Brannigan has experience at senior management level including business strategy, business development and procurement from his time as Divisional Managing Director of the Compass Group. He has appeared on the Belfast Top 50 listing several times, a testament to his high-profile and wide involvement in public and private sector life here. A recently-appointed Director of Co-Operation Ireland, he has described the Maze-Long Kesh Corporation as his greatest challenge yet. “We need to ensure we join with politicians, the community and business groups to get everybody buying into the potential of this site, so we can deliver for the people of Northern Ireland,” he said. Shortly after the First and deputy First Ministers announced his appointment in September, Terence visited the former prison site with ‘starchitect’ Daniel Libeskind who has been commissioned to build a conflict transformation centre on the former H-Blocks site. Terence, a native of East Belfast now living in the south of the city, is married to Sharon and has a daughter, Kathryn, and two sons Rhuari and Fionnbharr. First Job: Commis chef Strand Restaurant. What it taught me: It ignited my passion for food. Family: Wife Andrea, two children Jasmine 12 and Jake 10. Best advice anyone ever gave you: You learn from all experiences; good or bad. Best advice you could give someone starting out: Work hard and learn as much as you can about all aspects of the business. The most important thing for business success is: People management and helping to develop your team to make them feel a part of the business. Born in Australia in 1972, Tony’s family returned home to Belfast where Tony spent his formative years. He met and married local girl Andrea. The couple moved back to Australia where Tony began his culinary career. He worked in many restaurants throughout Australia, working his way through the ranks and gained a formidable quantity of experience. Places of work included the renowned La Grillade, where he worked as a junior chef and The Grape Escape – an improbably named but extremely highly regarded restaurant offering modern Australian cuisine. Tony subsequently held the position of Sous Chef in Jardines, the fine dining restaurant in The Cairns Colonial Club. Having satisfied the desire to visit and experience the country of his birth, Tony decided to return to Belfast, keen to carve his niche on this city on the move. Tony achieved his first head chef role in the award winning Waterfront Hall in Belfast, taking on the challenge of catering for thousands of event goers every day. He then moved from one extreme to the other, taking up the position of head chef in locally renowned restaurant Beatrice Kennedy’s. This charming Queen’s quarter eatery is one of Belfast’s best kept secrets, loved by locals and those from further afield who are fortunate enough to discover its discreet environs. Emphasis is on excellent food, created with the best of local produce, to be enjoyed in a relaxed atmosphere.